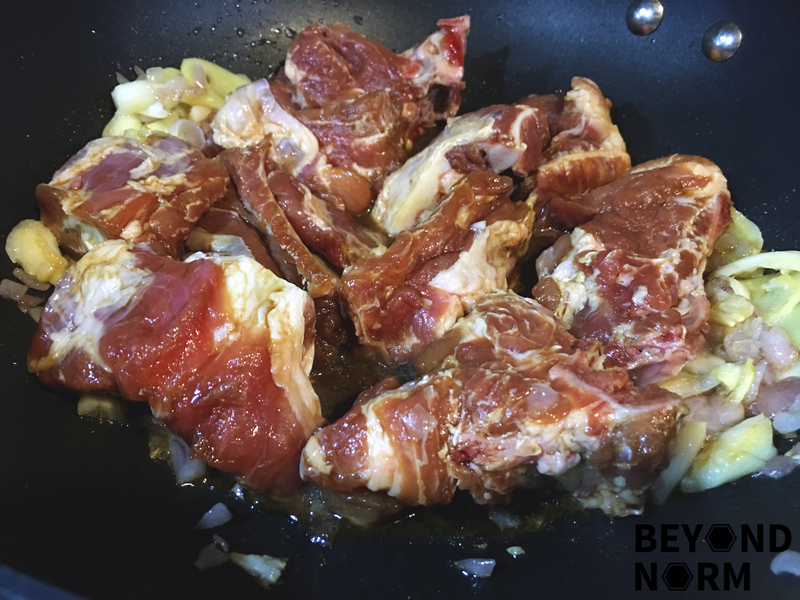 The meat which was braised/simmered over low heat for an hour absorbs the goodness of the tonic and spices. It is so succulent and inviting that you will crave for more. Talking about it makes me want to cook this again soon! Hope you will try this recipe and be generous and give us some feedback/comments via our blog. 18We would also like to welcome you to join our Mummy’s Kitchen Facebook Group for food lovers like you, whether newbie or veteran. You can like us on Beyond Norm’s Facebook Page and subscribe to our blog. Follow us on Instagram and YouTube @beyondnormblog to get the latest updates and videos. 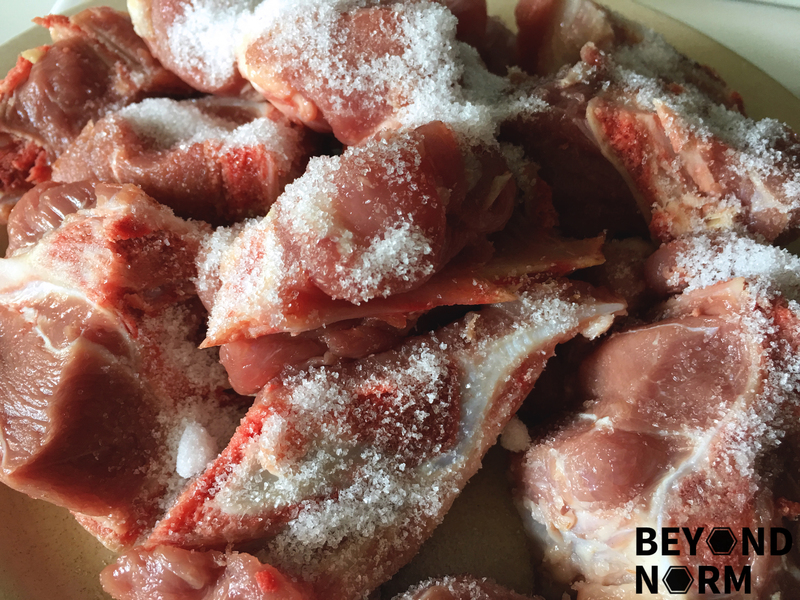 Rub 1 tablespoon of salt on the pork and let it rest for 10 minutes. After 10 minutes, rinse the pork with running water to wash off the salt. 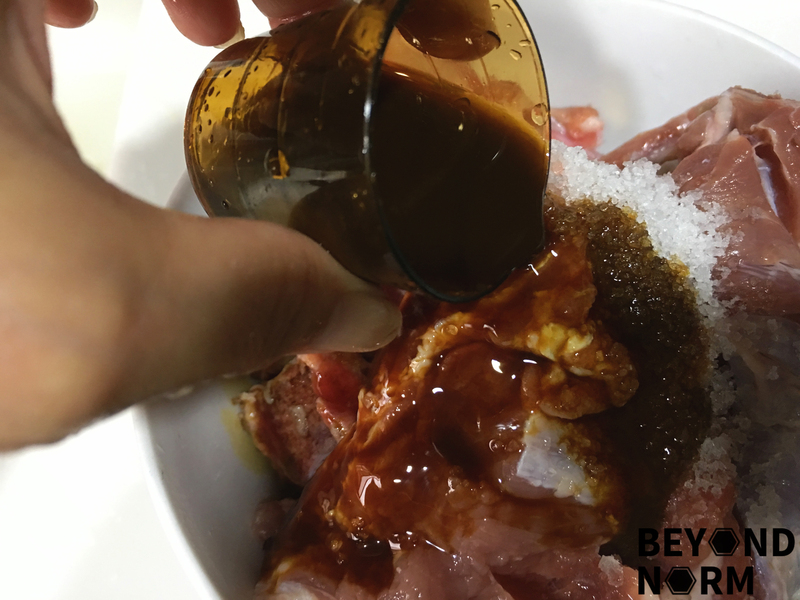 Rub the pork with ¼ teaspoon of salt and 1½ tablespoons of Huiji Waist Tonic. Let it sit in the marinade for an hour or more. Heat up a pan and add cooking oil. 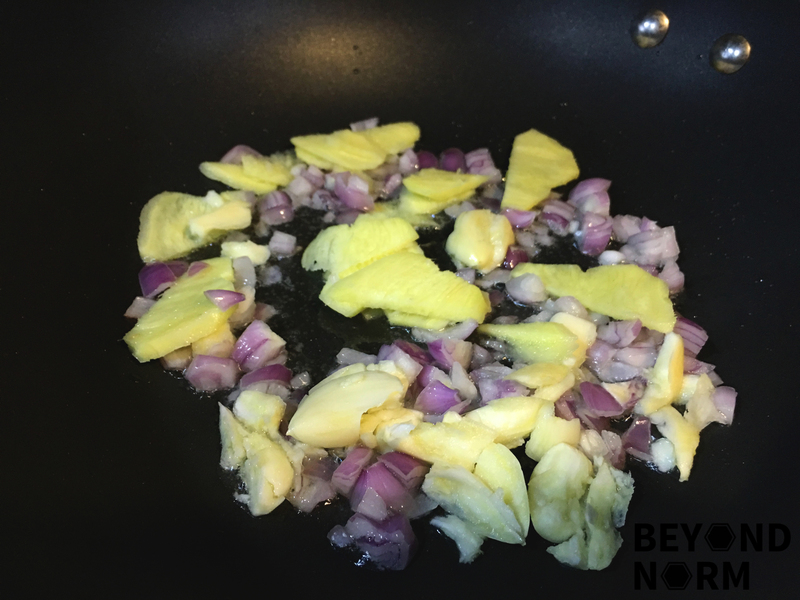 Add in the ginger, garlic and shallots. Fry till fragrant. Next, add in the marinated pork and mix well. Add water to cover ⅔ of the pork ribs. Lower the heat and add some light soy sauce to taste. Simmer for 40 minutes with lid on. Add sugar and simmer for another 15 minutes. Turn off the heat and add ½ tablespoon of the Tonic. Mix well. 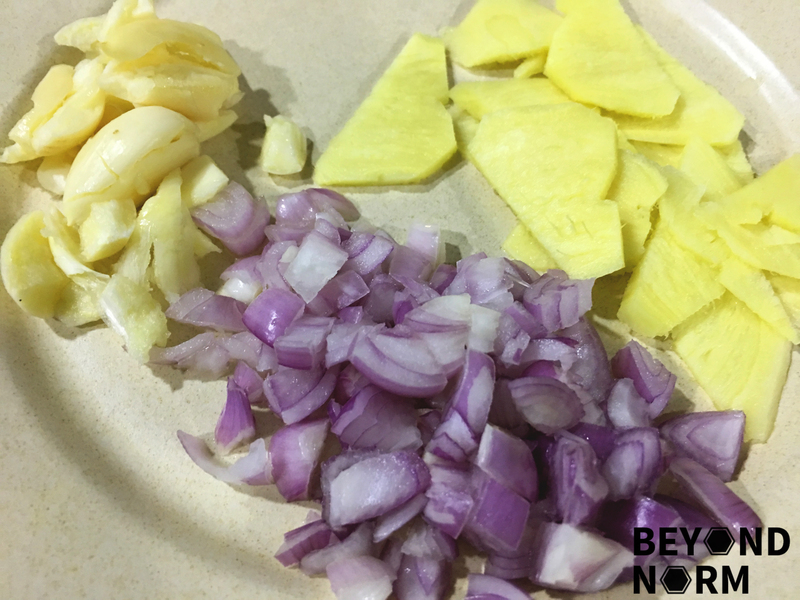 Dish out and garnish with some chopped spring onions. Serve immediately. Huiji Waist Tonic is not suitable for pregnant women. I live in Australia. Sadly the tonic you used is not available. What can I use as a substitute ? I know it will not taste as good. Hi Scarlett, I’m not sure if these would be available in Australia but maybe you could substitute it with DOM or Yomeishu. Alternatively, you could get herbs to boil a broth. I hope this helps. 🙂 Happy cooking!